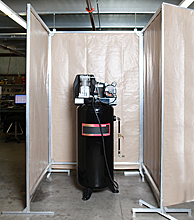 Specifically designed for vertical and horizontal air compressors, these portable acoustic screens significantly reduce the risk of hearing loss from compressor noise. The screen panels are made from durable 18 oz. vinyl with a visco-elastic acoustic damper. Each panel is supported by strong yet lightweight aluminum frames with innovative over-under legs that ensure wobble-free stability. 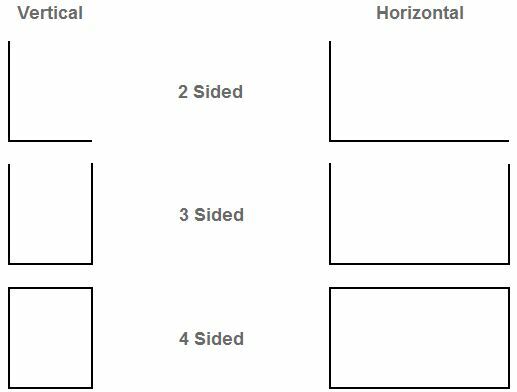 The configuration for a vertical acoustic screen is based on a square design, whereas the horizontal configuration is that of a rectangle.